Yes, there's a day called Siblings Day and we celebrate it today. So go ahead and give a warm hug to your naughty sibling just to appreciate him/her being a part of your life. There's a saying that a girl doesn't need a best friend if she has a sister and it's true in all the cases. Take the Kapoor sisters for example. Be it Karisma - Kareena or Janhvi - Khushi, these girls will always have each other's back no matter what. Similarly having a brother is another blessing in disguise. You can pamper the younger one or get pampered by the elder like in Arjun Kapoor and Anshula's case. National Siblings Day 2019: Send These Funny Quotes and Images to Wish Your Brothers and Sisters. We personally believe siblings share a very special bond and lucky are the ones who get to have such amazing relationships in their lives. On this beautiful day, we decided to introduce you to some of the lesser known siblings in Bollywood that deserve your attention right away. Have a quick look below... Siblings Day 2019: History And Significance of the Day That Celebrates The Bond of Brothers And Sisters! Ananya Panday is all set to enter Bollywood with Karan Johar's Student of the Year 2. However, this 20-year-old has a younger sister, Rysa Panday and she's the apple of everyone's eyes. 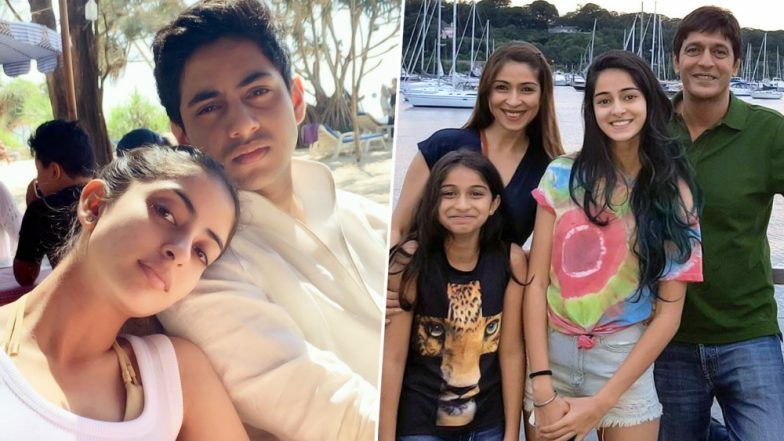 Chunky and Bhavana Panday's darling daughters share a similar face cut and B-town will have to wait a bit longer to welcome Rysa into its family. Ahaan Panday and Alanna Panday are Ananya Panday's cousins. The handsome boy is already working as an assistant director in Rani Mukerji's Mardaani 2 while Alanna is a social media star in herself. We wonder what's keeping her away from Bollywood and if she has no plans of pursuing a career in that. Amitabh Bachchan's grandchildren need no introduction. And though we are fairly acquainted with Shweta Bachchan's darling daughter, Agastya prefers to be in his cocoon. He's rarely spotted by the paparazzi and the kids have no plans of joining the entertainment industry anytime soon. Hailing from Sonam Kapoor's family, Shanaya Kapoor is Suhana Khan and Ananya Panday's bestie and the girl is already gearing up to enter B-town. She's currently assisting sister Janhvi Kapoor's biopic on IAF pilot, Gunjan Saxena and plans to pursue acting next. She has a brother, Jahaan Kapoor, who's frequent at all the family gatherings and you can easily spot him in Sanjay Kapoor and Maheep Kapoor's Insta accounts. 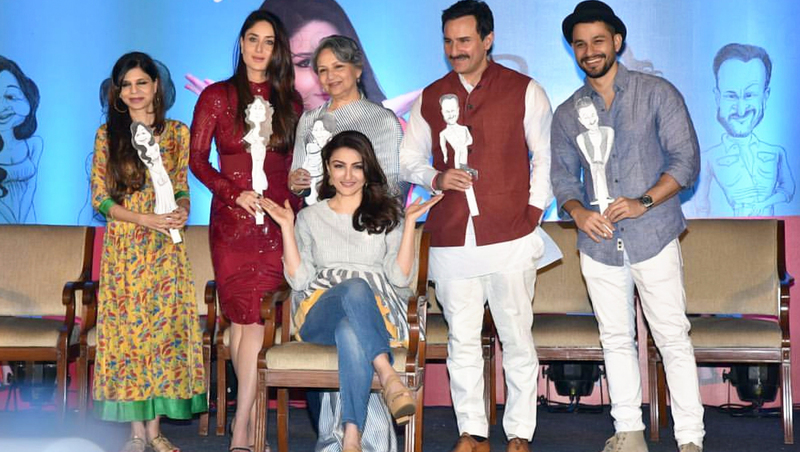 Yes, Saif Ali Khan and Soha Ali Khan have another sibling in Saba Ali Khan. The trio is rarely spotted together and she's a jewellery designer by profession. Does she hate all the limelight? We don't know but she prefers having her own space and we respect that.